This is absolutely beautiful work. Aww, thank you very much as always! I saved this picture to my hard drive a long time ago because I love it so much! I consider the phoenix to be my totem animal; it symbolizes something for me, because of its pattern of rebirth and its lasting strength. Also, when I was a small child, I told my mother that I remembered dying my past life: I died in a fire. Because of this, I have always identified with the phoenix. 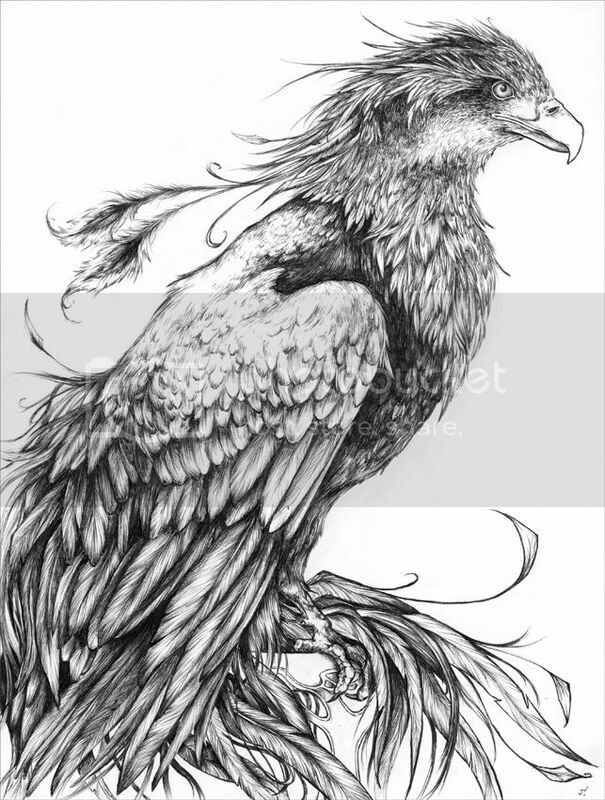 Recently I have been looking for phoenix tattoo designs, and I looked back at this picture and decided that this is the tatto that I want. Would you give me permission to use your art as a tatto? I could have the tattoo artist mark it with your name, if you like. E-mail me at ferretg@comic.com -- I would really appreciate it!